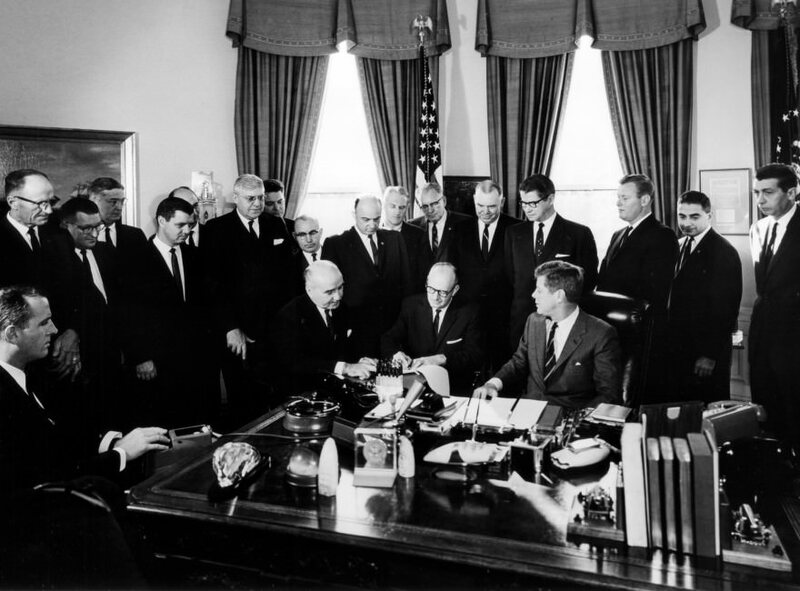 In an Oval Office ceremony, President Kennedy signed the Agency for International Development’s contract with the National Rural Electrification Cooperation Association, an initiative to provide assistance in establishing world electric systems in Latin American countries. 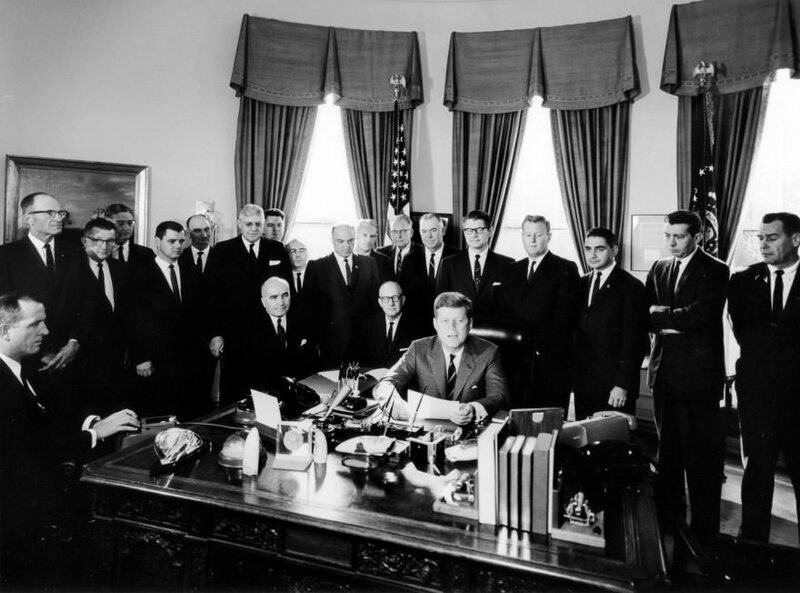 The ceremony took place in the Oval Office on November 1, 1962 from 9:47 – 9:58 AM. Photo by Abbie Rowe / National Archives.